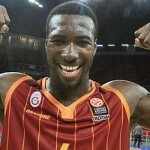 Days after being released by the New Orleans Pelicans, former Florida Gators center Patric Young has decided to continue his professional basketball career overseas in Turkey after signing a contract with Galatasaray S.K., the team announced Wednesday. Young, the 2014 SEC Defensive Player of the Year and a three-time SEC Scholar-Athlete of the Year, did not play a regular-season game in the NBA as a rookie. Expected to be a player on the cusp of being a first-round selection in the 2014 NBA Draft, Young fell into the second round and then out of the process altogether as teams picked higher-upside options and stashed international players overseas. He linked up with New Orleans for an NBA Summer League tryout and was guaranteed an invitation to training camp with the franchise. The Pelicans liked what they saw from Young so much during summer league play that they inked him to a non-guaranteed rookie contract. He then made his way onto the team’s 15-man active roster ahead of the regular season. As the fourth center on the Pelicans’ roster, Young became expendable as the team looked to make roster moves. It is believed that Young also had NBA options, likely with a team that wanted to send him to down to the NBA D-League, but he obviously chose to play out this season overseas instead. Just signed the contract off to Istanbul for the next 6 months. Excited to be a part of Galatasaray. Can't wait to compete again. Galatasaray is one of the most successful teams in the Turkish Basketball League, winning the division in two of the last three seasons and finishing in the top-four in each of the last four campaigns. It has also been a semifinalist and runner-up in both the Euroleague and ULEP Eurocup in each of the last four seasons. Young joins a number of former Gators currently playing professional basketball outside of the United States including Kenny Boynton, Taurean Green, Walter Hodge, Adrian Moss, Erving Walker and Matt Walsh, among others. Will always wish nothing but the best for Patric Young. 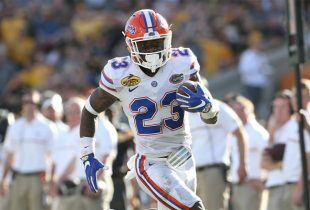 Character guy who has represented UF as well as any student athlete we’ve ever had. I put him right up there with Tebow and Wuerffel in that regard. He did us proud. Pelicans are dead to me. Go P Young! Typical flake poser ‘fan’. Young didn’t cut it. That’s what you do with guys who don’t cut it; you cut them. I just do not think there would be enough interest to pursue that, nor do I think Patric would want to do that, nor do I think it would be easy to connect with him on a regular basis with him being overseas. But I appreciate the suggestion!